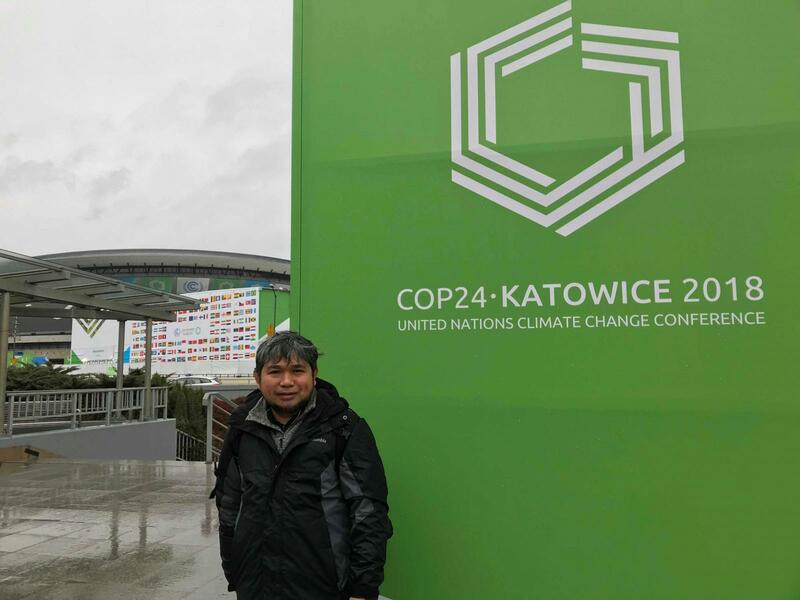 The Augustinian Recollect Jaazeal Jakosalem is a co-founder of Pusyon Kinaiyahan (Earth Alliance), a local environmental group based in Cebu City, helping communities of struggle in the Visayas region affected by natural and human-induced calamities. 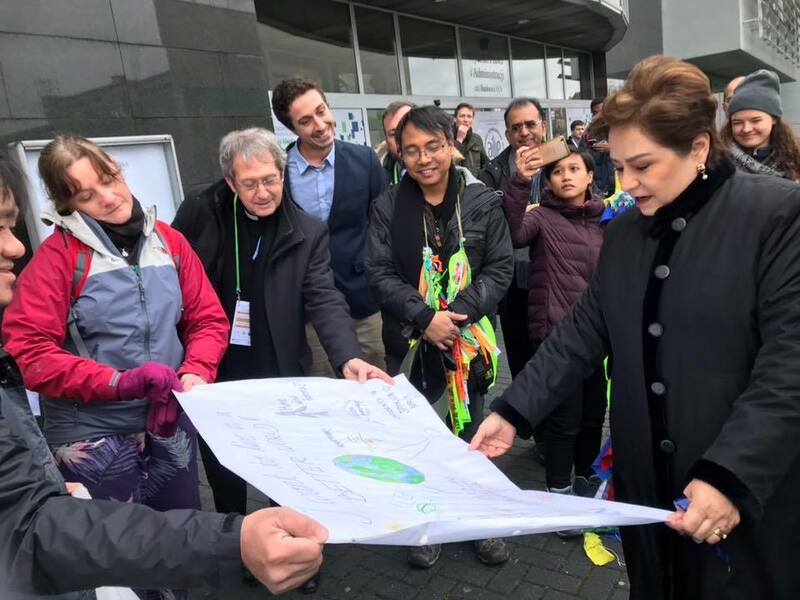 An active participant in climate negotiations (UNFCCC), is now based in Madrid, Spain working as one of the staff of ARCORES International in the area of environmental and climate action. 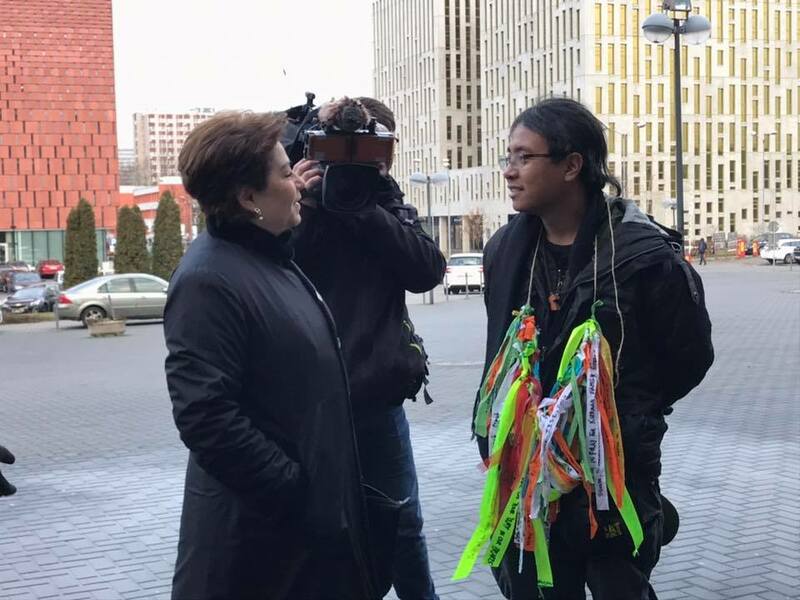 From Katowice (Poland) he writes about his work in the Climate Conference. With finality the IPCC Report highlights ‘people and natural ecosystems’ as ultimate beneficiaries of achieving our desired goal to address climate change; constantly reminding our way of integrating such approach in achieving a sustainable and equitable society. We need urgent actions and consistent commitment from among the signatories of the Paris Agreement to avoid the extreme climate change impacts - the more damaging droughts, extreme heat, floods, poverty and even food shortages. This warning is alarming, 0.5°C can make a lot of difference, it means billions of death. We should continue reaching our needed target to 1.5°C, an affordable and feasible, and not anymore ambitious; keeping true to our pledge of making the Paris Agreement relevant in our context. Our response is indeed important, avoiding “long-lasting or irreversible changes, such as the loss of some ecosystems” and our continued efforts to address locally damaging practices such as development aggression (mining, reclamation projects, agricultural expansion, industrial enterprises) all at the expense of forests, communities and the whole ecosystem; increased dependence on fossil-fuel based ‘economy’ (in the areas of energy and mobility); and failure ‘in doing’ sustainable environmental practices in the areas of waste management and consumption limits. Towns, cities and institutions must participate in establishing a reliable policy conversations and consultations leading to a localized ‘green transition’ in land, energy, industry, buildings, transport and cities. Scrapping all the tendencies to limit only in false economic reading of genuine development, but rather enabling sustainable socio-economic opportunities beneficial to the constituents. The need to instill and initiate ‘ecological analysis’ in our institutions and communities must be done. If we fail this, we will fail the incoming generations because of our negligence, we are warned and yet we failed to act for the future. Nations if not truly guided will continue exploiting: Great Britain is embracing ‘fracking’ as a viable solution; Canada and the US continue with their pipeline projects; Norway remains a major oil-exploring country in the Arctic; Germany continues destroying the Hambach forest for coal; Indonesia pillages its own forests for damaging economic interests; Philippines opens up coal plants, ‘up-cycling’ machineries from folded power plants of the first world; and many more. All these ‘disconnect’ attitudes reflect a glaring disorder in a post-Paris Agreement; indeed there is lack of commitment among the many signatories. 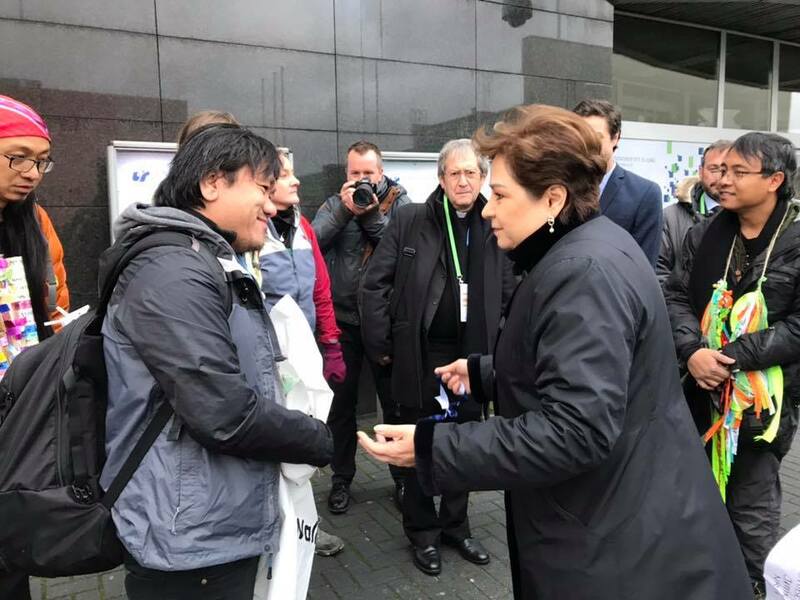 From December 2-14, about 20 thousand people from 190 countries (government leaders, environmental ministers, non-government organizations, scientific community, climate activists, and the business sector) are taking part of this year’s COP24 (24th Conference of Parties of the UNFCCC) in Katowice, Poland. The 24th Conference of Parties will tackle the much-expected ‘rulebook’ of the Paris Agreement, a plan-guide and reporting mechanisms of the monumental Paris Agreement. Somehow, a continuing action points of COP21 in Paris, and of the previous conferences. 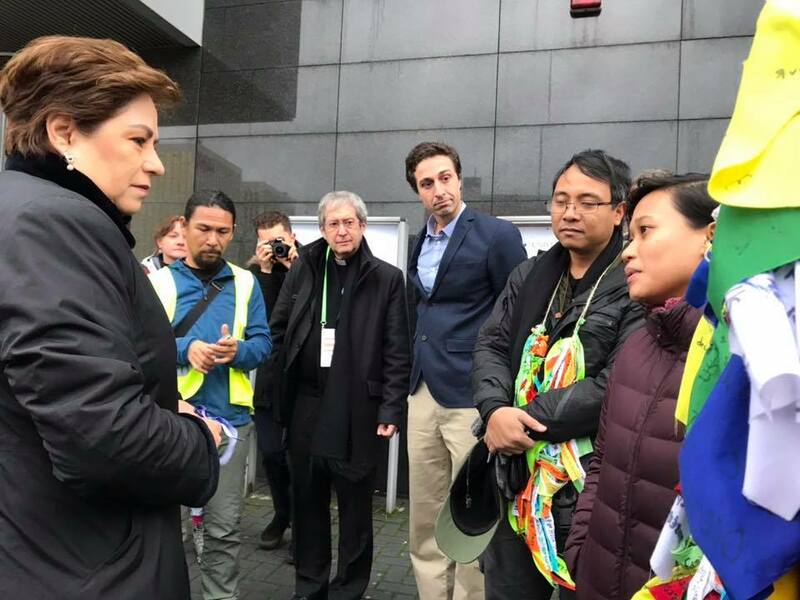 Many climate activists pointed out the failures of the non-binding Paris Agreement; as Naomi Klein pointed out “the absence of a Post-Paris plan.” Behind the negotiations, powerful countries have questionable commitments. 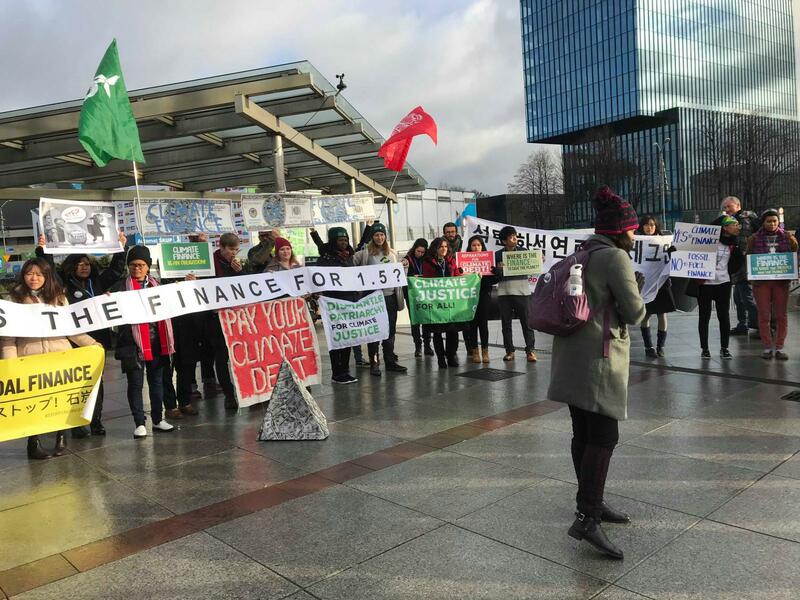 Much to expect from the COP24 are areas of discussion related to climate finance; emission targets and timelines; and the role of powerful countries. Can the rich countries make a better and sustainable pledge to finance the climate mitigation efforts (helping the vulnerable and poor countries)? Do we need to re-configure our emission targets to a more committed and aligned timeline (considering the IPCC 2018 report)? Will the ‘big’ states, with higher social responsibilities make a consistent commitment for the climate within the UN framework? These are questions, but people and communities will remain committed on the ground, even after Paris– because they are suffering from the climate crisis. From below, vulnerable communities are defending nature and communities from development aggression, encompassing from ridge to reef destruction. Four Bishops of the four Catholic Dioceses in the island of Negros, Philippines issued a unified Pastoral Statement calling for a coal-free island and challenging local leaders to oppose any attempts of investors to build coal plants in their cities or towns. 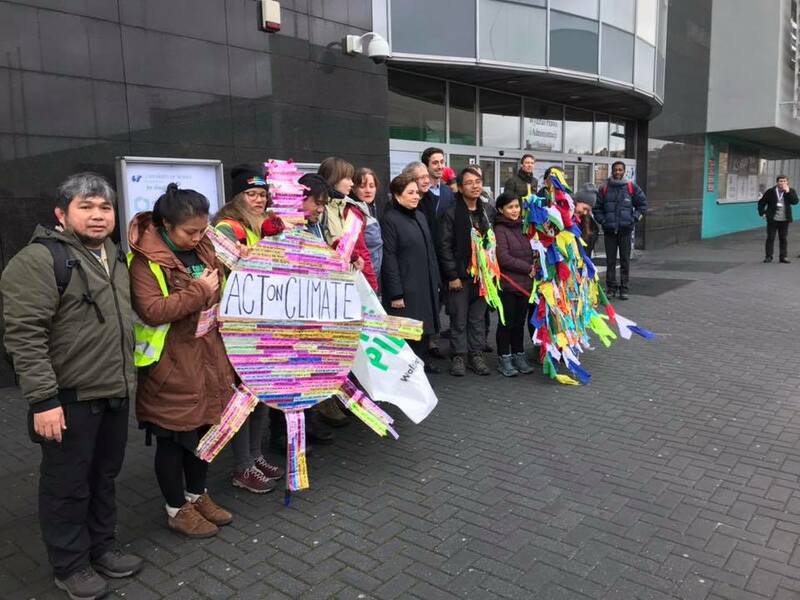 Just days before the UNFCC COP24 Meeting in Katowice, Poland, the local Diocese of San Carlos in the island organized a people-driven protest expressing a collective message of the proposed construction of a 300-MW Coal-fired Power Plant in San Carlos City by the San Miguel Corporation (SMC) Global. More actions and support are expected from our church leaders, to embrace the concerns suffered in the sites of ecological struggles. Across nations and peoples, more and more communities are suffering from environmental degradation and injustice. The ‘global warning’ from the IPCC report are real, the impacts are threatening, will be destroying lives and damaging properties; indeed the global warming are becoming hyper-realistic, more devastating and across continents. Lately, Super Typhoon Yutu devastated Saipan, a record in years; the island too is one of the vulnerable areas impacted by climate change. The remaining forests of Southeast Asian countries are on the brink of extinction, like Indonesia, still the forest capital in the region, and yet ironically along with Malaysia are burning their forests at a continuing and damaging pace; threatening biodiversity and polluting communities. Our remaining natural ‘cooling system’ - the Amazon Regionin South America is severely degraded by the extractive industries and neocolonial development projects in the forms of logging and massive agricultural expansion. “I wanted to come to visit you and listen to you, so that we can stand together, in the heart of the Church, and share your challenges and reaffirm with you a whole-hearted option for the defence of life, the defence of the earth and the defence of cultures. The native Amazonian peoples have probably never been so threatened on their own lands as they are at present. Amazonia is being disputed on various fronts. On the one hand, there is neo-extractivism and the pressure being exerted by great business interests that want to lay hands on its petroleum, gas, lumber, gold and forms of agro-industrial monocultivation. On the other hand, its lands are being threatened by the distortion of certain policies aimed at the “conservation” of nature without taking into account the men and women, specifically you, my Amazonian brothers and sisters, who inhabit it. 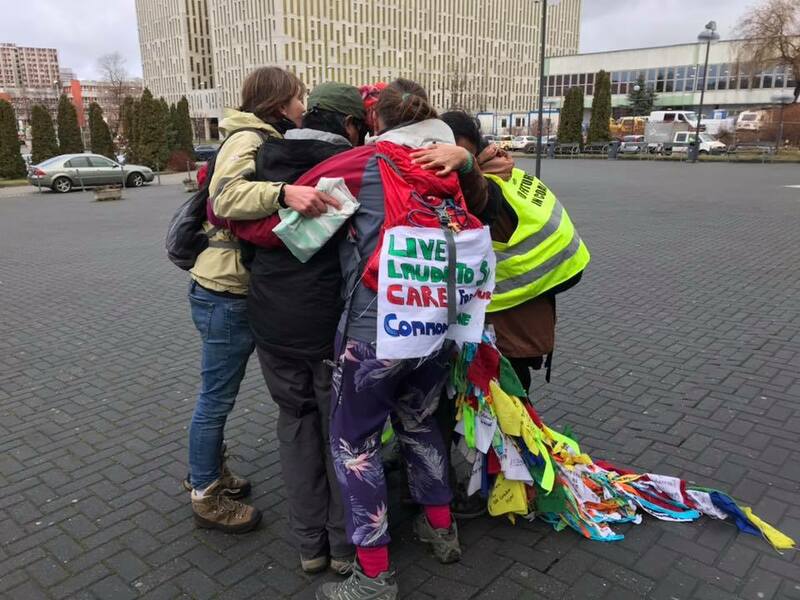 We know of movements that, under the guise of preserving the forest, hoard great expanses of woodland and negotiate with them, leading to situations of oppression for the native peoples; as a result, they lose access to the land and its natural resources. Filipinos are taking the climate justice struggles in active engagement with the affected communities, challenging local government units and government environmental agencies, ‘our government is killing our people and our environment’ said Brother Simon Peter Jardinico, a Franciscan Friar of Charity and a member of the Cebu-based Pusyon Kinaiyahan, along with the affected families he calls for justice and accountability related to the deaths of 78 persons due to massive landslide caused by mining and quarry operations of CEMEX in the City of Naga, Cebu. 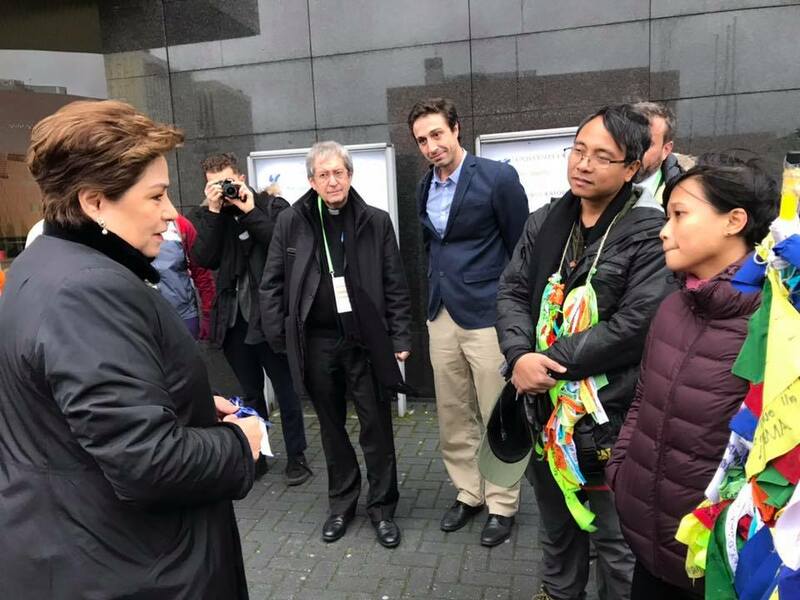 Just recently, in November 7, 2018, a convergence of environmental and church-led groups in the Philippines officially launched the “Living Laudato Si’” movement, calling for an effective divestment campaign and seriously envouraging institutions to embrace the call towards a just transition, initiated by The Climate Reality Project, the Association of Major Religious Superiors in the Philippines (AMRSP) and other groups. The Climate Pilgrimage from Rome to Katowice just arrived in Poland, bringing the urgent message of climate action in the ‘NOW!’ It all started from a local Climate Walk from Manila - Tacloban in 2014; a march participated by climate activists in the Philippines and from abroad calling for climate justice suffered by the people from island communities, especially by the onslaught of Typhoon Haiyan, claiming more than 10,000 lives. 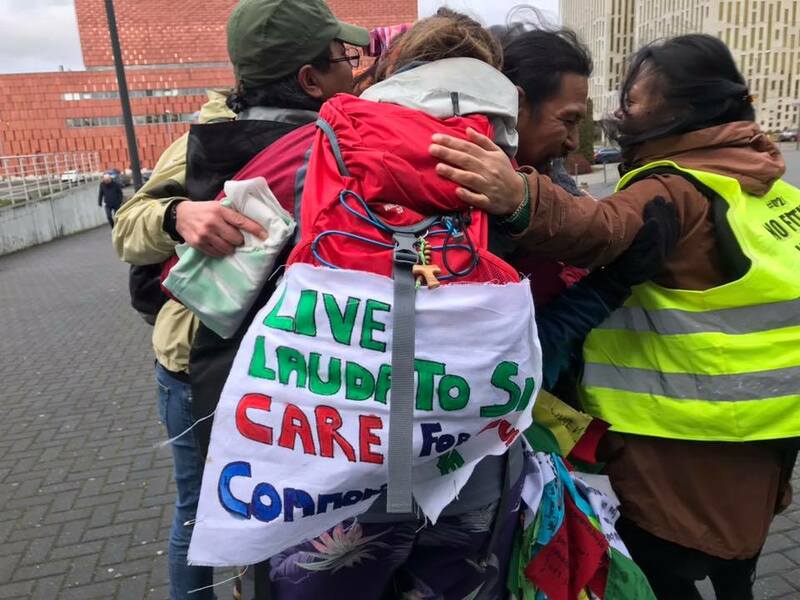 And in 2015, ahead of the COP21 in Paris, Yeb Saño and other climate activists initiated the global Climate Pilgrimage from Rome to Paris; bringing the message and concerns of Pope Francis’ Laudato Si’ side by side with the call for climate justice. Filipino climate activists are taking the lead, even before the Paris Agreement; of a people-driven call for change thru the Climate Pilgrimage. 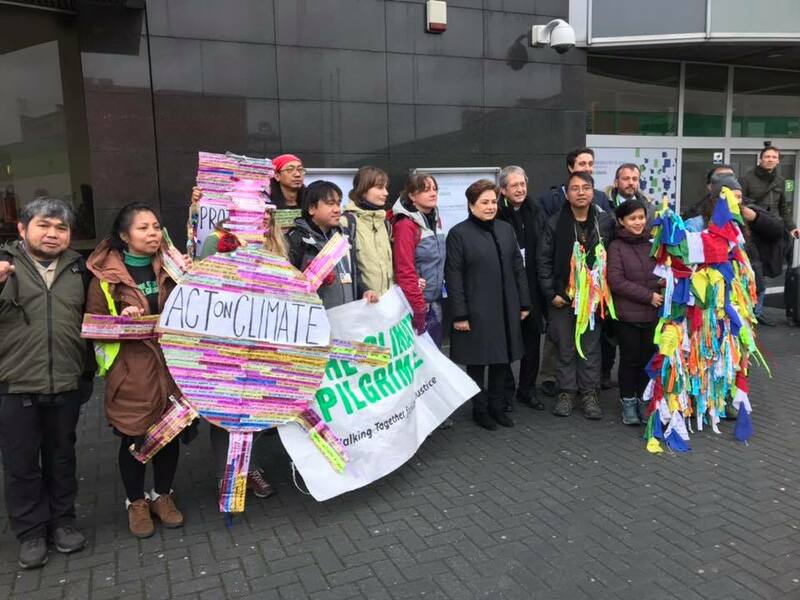 For this COP24, they are making the ‘climate pilgrimage’ from Rome to Katowice. From a ‘pilgrimage’ of action towards a call for integral change, fomenting a framework of integral transformation both from the personal and the institutional. “Climate change is affecting billions of people… We stand together as people from different faiths, from different cultures, from different countries, and appeal to the whole world that this is our moment to stand together as a human family and find the solution to this madness. We carry with us a message of hope thru Pope Francis’ Laudato Si. We carry with us a message, that if we stand together as a human family, if we stand together and confront this crisis, there is hope. And we will all march together to a new dawn, to a new morning - we will triumph and overcome this challenge”. The anti-coal struggle in Negros island is a local action with maximum impact on the global issue of ‘breaking free’ of the fossil-fuel based economic framework. The local initiative is beyond Negros island, beyond any form of global meeting. Wanting to respond consistently to reach a ‘net zero” future; communities and churches in the island of Negros still have to counter the false development concept of government officials, even with the existence of local and national commitments. Today, they are empowering local leaders to bring the real message of effects and impacts of environmental degradation resulting from human and industry-driven carbon emissions and the need to achieve a livable future. This is beyond Negros island. 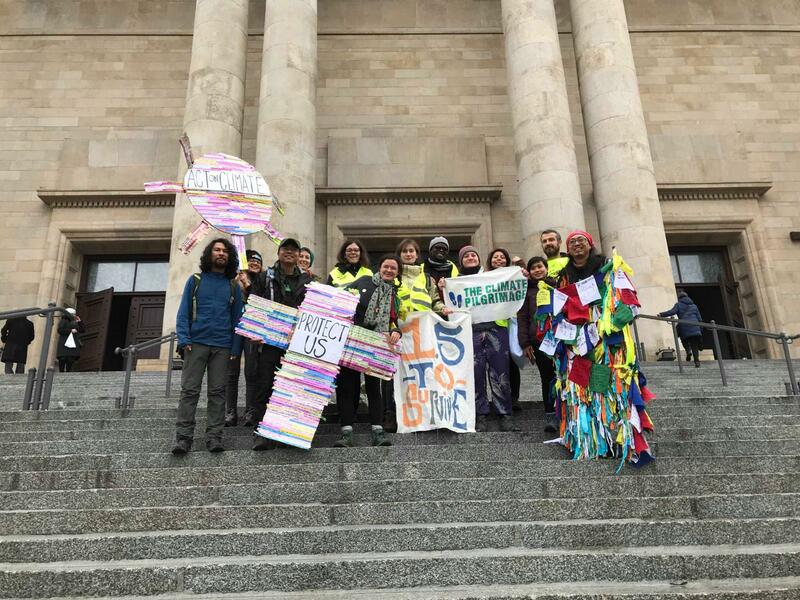 Communities of struggle for the planet are growing, like the ‘extinction rebellion’ movement in the UK; doing active climate action due to inaction of the government and elected officials for the protection of the environment and communities. The ongoing active convergence and awakening of indigenous peoples and communities, taking their struggles into the mainstream platform of conversations and inspiring support from organizations and individuals. This is beyond Katowice.